From October 1864 to November 1865, the officers of the CSS Shenandoah carried the Confederacy and the conflict of the Civil War around the globe through extreme weather, alien surroundings, and the people they encountered. Her officers were the descendants of Deep South plantation aristocracy and Old Dominion first families: a nephew of Robert E. Lee, a grandnephew of founder George Mason, and descendants of one of George Washington's generals and of an aid to Washington. One was even an uncle of a young Theodore Roosevelt and another was son-in-law to Raphael Semmes. Shenandoah's mission-commerce raiding (guerre de course)-was a central component of U.S. naval and maritime heritage, a profitable business, and a watery form of guerrilla warfare. These Americans stood in defense of their country as they understood it, pursuing a difficult and dangerous mission in which they succeeded spectacularly after it no longer mattered. 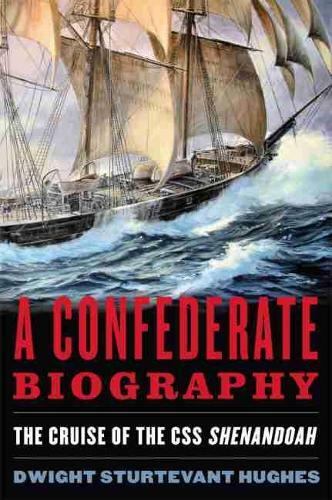 This is a biography of a ship and a cruise, and a microcosm of the Confederate-American experience.